In June, Picniic launched a new initiative called the Picniic Ambassador Program. This program allowed our top Picniic users to become more involved with our platform by reward them for helping refer Picniic to their friends. 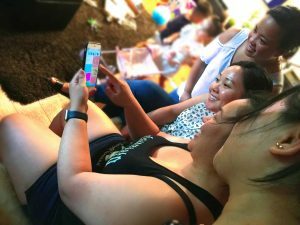 The launch was an absolute success with hundreds of parents across the world posting about their experiences with Picniic and encouraging their friends to check it out! Check out a couple of our absolute favourite posts! Chanyn Cheree, from New York, sharing a quick bite with her son while checking out Picniic on her computer! Christine Jane from Perth Australia using Picniic with her family on her phone and tablet! Whitney Baker from California enjoying Picniic in the Summer sun! After the success of this launch, Picniic decided to keep the fun going by starting PICNIIC PLAYDATES! Picniic reached out to some of out top performing Ambassadors to have Picniic-themed party! These lucky Ambassadors invite friends over to hang out, have snacks and talk about Picniic. To help make the party awesome, Picniic sends a package, decked out with awesome games and treats, for the whole family to enjoy! Rochelle Hernandez-Lomboy at her Picniic Playdate sharing Picniic with her friends! Picniic is excited to announce the continuation of these great programs in the hope of expanding our mission to help make family life easier for everyone! 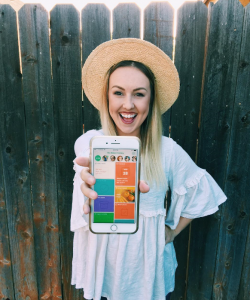 If you are interested in learning more about the Ambassador Program or how to get involved in the Picniic community, check us out here! Picniic is a family assistant that helps households become more organized, productive, and connected. Picniic brings all your family activities, tasks, and data together in one place. All family members can easily access Picniic via phone, tablet, and web to keep the household on the same page. 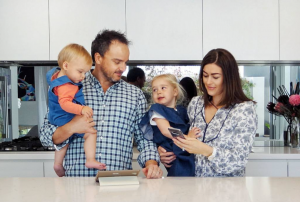 Picniic has created a unique and easy-to-use product for managing and simplifying family life. For more information, please visit picniic.com.